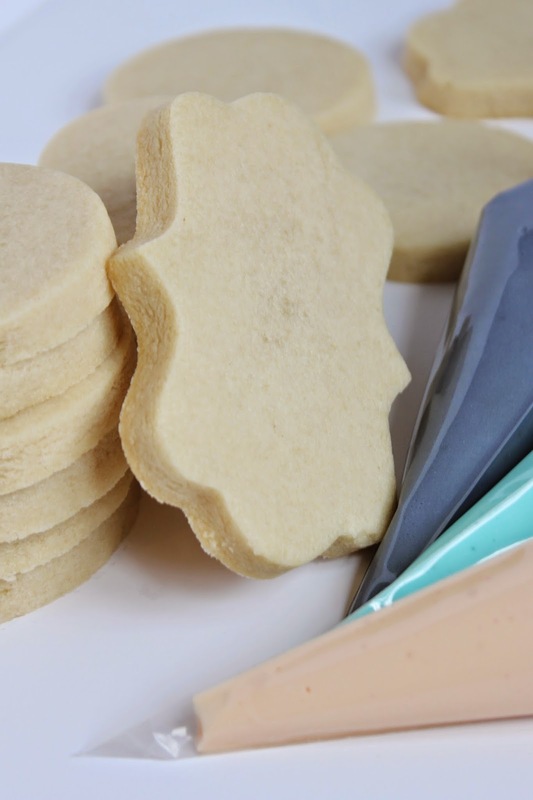 This recipe is one that I've created over the last few years while decorating cookies, and is now the only vanilla sugar cookie recipe I use. I love this cookie dough because it holds it's shape well and tastes SO good. Enjoy!! With an electric mixer, cream butter and sugar for 7 minutes on medium speed with the paddle attachment. Beat in eggs just until combined. Add salt, vanilla and almond emulsion mixing for about 10 seconds on low. Add in flour and mix until dough is pulling clean from the sides of the bowl. In humid weather add up to 1/4 cup more flour if needed. Wrap dough in plastic wrap and refrigerate for at least thirty minutes. Remove dough from the fridge and preheat oven to 325 degrees. To roll out, put dough on top of parchment paper in between two 1/4" wooden dowels. Then roll out with a roller and cut desired shapes. Put shapes onto a greased cookie sheet and put in freezer for 10 minutes before baking to prevent spreading. Bake for 10-13 minutes. Let the cookies cool on a cooling rack. Decorate! You can find my royal icing recipe here. I will try these! They sound delicious! Have you ever tried this recipe with confectioners sugar? Would love to hear your thoughts. Hi Sima. I have and the reason I don't like using confectioners sugar is the cookies do not hold their shape nearly as well! I prefer using flour, but I know of a few people who use confectioners sugar. There is just a lot more spreading.